The summer is coming to a close and with slightly cooler temperatures here in Colorado, I found myself craving comfort food. That means Meatloaf Time! I love making a big meatloaf and having dinner ready to go for the next few nights. It's that whole batch cooking idea that I recommend. 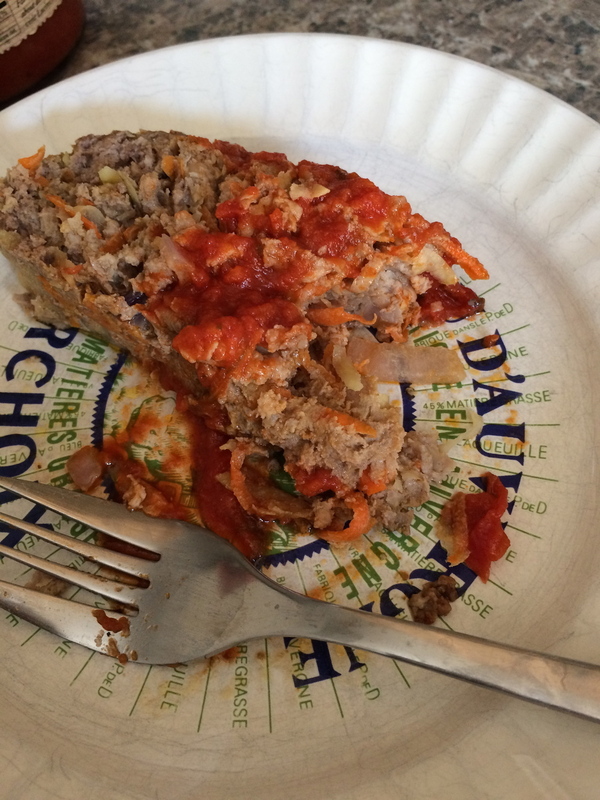 This meatloaf is perfect with cauliflower mashers. Steam the cauliflower until super tender and it is almost dry, then puree it with grass fed butter and sea salt until smooth. SOOO good! Preheat oven to 400. Combine all ingredients except tomato sauce in a bowl. Form into meatloaf shape on a lined sheet tray. Bake for 20 mins. Remove from oven and top with tomato sauce. Place back in oven and bake another 40 minutes until done. Should be firm to the touch. Internal temp of 155. As it rests, it'll come up to 160. Slice and serve with more tomato sauce on top. Aug 20 Paleo Cinnamon Raisin "Scones"